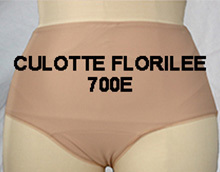 Special ostomate Underwear unique design. Pantie with an integrated pocket for a right, left or center ostomy. Ideal for any woman living with an ostomy placed higher than normal. Moreover, the underwear does not compress at any moment the stoma. This underwear’s advantage is its integrated inner pocket that reduces risk of leaks caused by skin perspiration since the ostomy bag does not touch the skin. Here’s an undergarment that maintains the apparel in place. An ideal choice for any woman who does not like underwear comfortable and unique design. Adapted for people with an ileostomy, a colostomy or a urostomy.